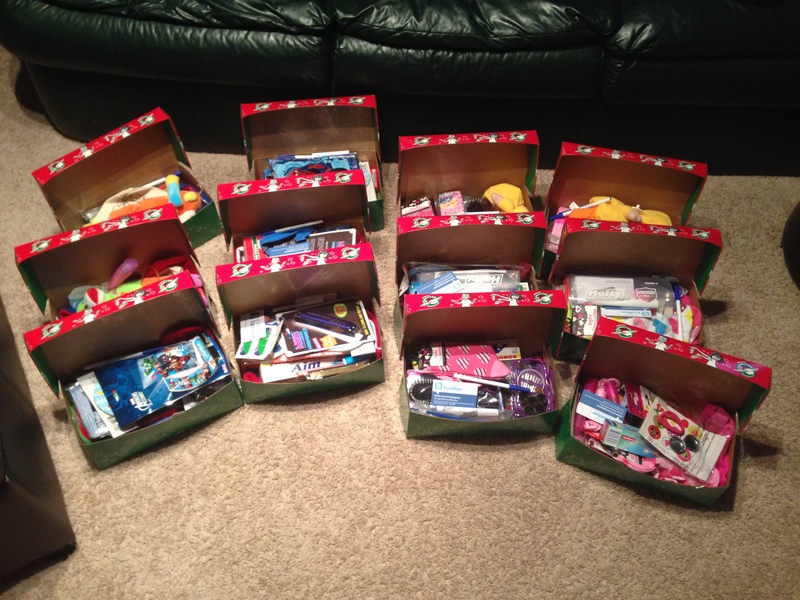 Our goal in this mission project was to pack 10 boxes for Operation Christmas Child. God was so good to us that we were able to give 13 boxes! We were able to get some great items such as, toothbrushes, pencils, combs, stuffed animals, hand sanitizers, Band-Aids, and so much more. I really believe that this was something God called us to do, and it was a blessing. How cool is it to bless a child! 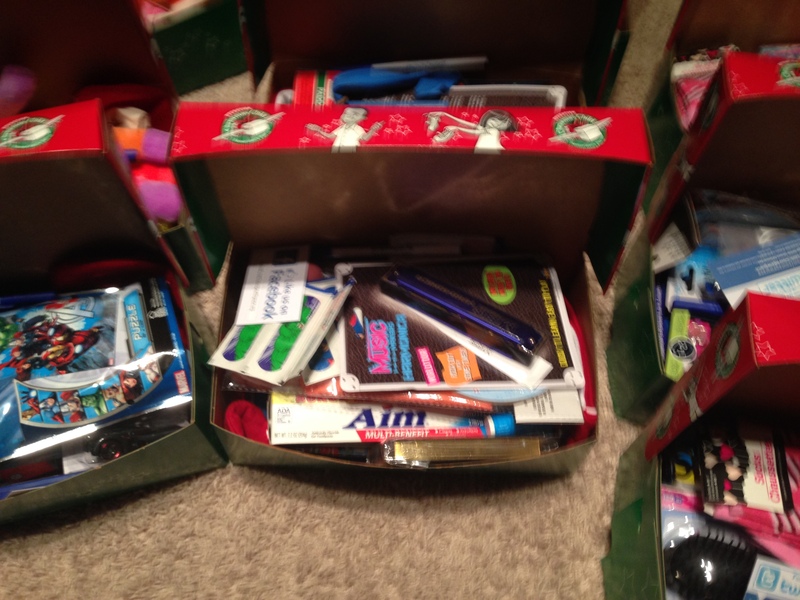 If you packed a box this year, thank you! God remembers every good thing. This grace message needs to be proclaimed and we need to speak it, and I am thankful for opportunities like this to do just that. 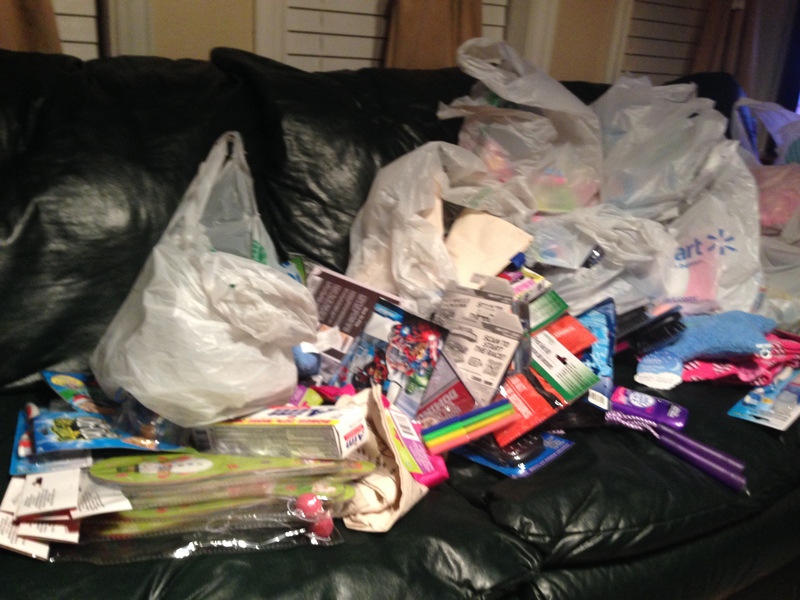 All of the items, before they went into the shoeboxes. All of the boxes also included a letter.